With the way the weather has been lately, we’ve been dreaming of cozy fires and charming cabins. 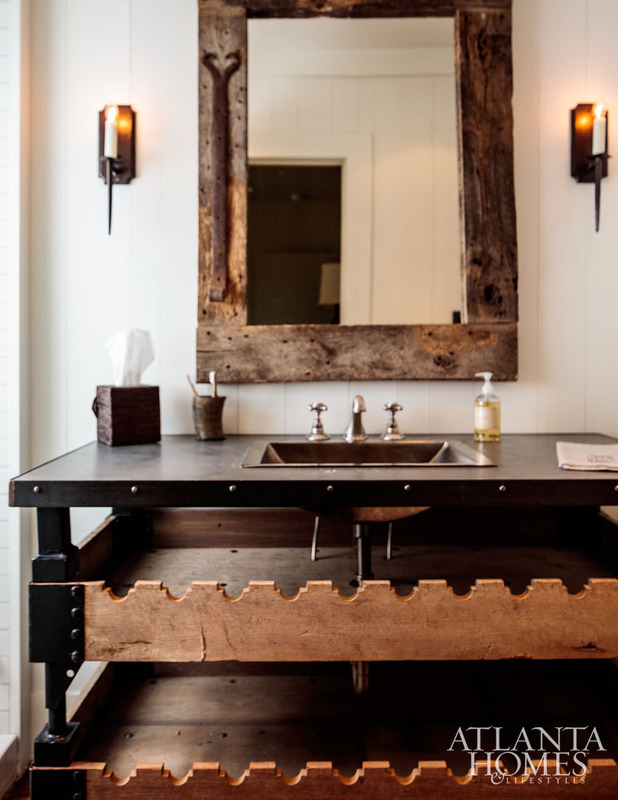 Muskoka Living Design manages to create that perfect cozy, cabin feel by balancing light and bright with darker, more rustic touches. Muskoka Living Design creates spaces that feel chic, stylish, bright and airy while still maintaining the feel we love for this sort of weather. These Ontario designers specialize in “casually sophisticated living,” and, we don’t know about you, but we think they have absolutely nailed it. Every detail is perfectly choreographed for comfort and livability with so much character. These open garage doors are perhaps one of the coolest hacks we’ve seen. Talk about bringing the outdoors in! Now this is a boathouse. It blends seamlessly with the rest of the decor to create a smooth transition from outdoors to in–and a safe home for a most treasured possession. Does it get any better than this? We don’t think so! Thanks so much for stopping by and making Design Chic a part of your day. We always love seeing you here! Good morning, chic readers! With winter weather closing in, it’s the perfect day to grab a cozy blanket, a steaming mug of hot cocoa and a place by the fire and explore this beautiful cabin by Tammy Connor Interior Design. Christmas music is optional but highly encouraged. Can you imagine a better place to hole up on a frightful winter’s day? We can’t! And if shopping is on your “to do” list today, take a look at furniture.com. And what says “holidays” more than Rudolph? And the right amount of juxtaposition in more glamorous ones. Or serious statement lighting, antlers are a great look in any space! Just add a little fresh greenery for instant holiday style. Have you done your holiday decorating yet? Thanks so much for stopping by. We always love it when you do! When it gets a little cooler, like it is now, that’s when we start to imagine ourselves in a cozy hunting lodge by the lake. Bonfires, oyster roasts and s’mores dance through our heads–and, of course, an interior with lots and lots of wood. 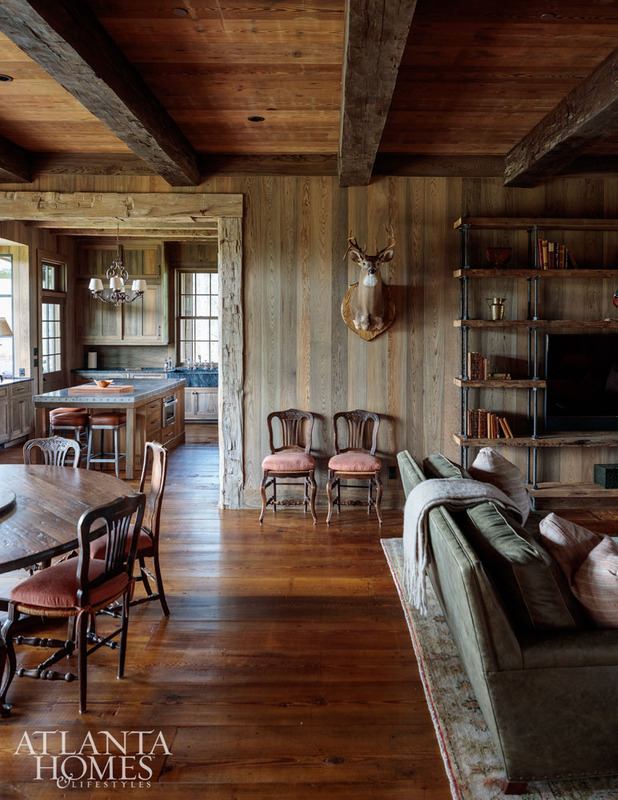 We are loving this gorgeous example of a hunting cabin–and we think you will too! Congrats to our wonderful friend and fellow blogger, Shirley from Housepitality Designs. She won the Arhaus pillows and $200 gift card! Wishing you a start to your week as wonderful as a day on the beach!